 Get a better night’s sleep this month with these helpful tips and tricks from The Vue Apartments Blog! We have some advice from the National Sleep Foundation and the Mayo Clinic to help you get to bed and get a good night’s sleep. Having trouble falling asleep? We have advice from WikiHow and The Huffington Post. We hope that you have a great March here in Fitchburg, WI — complete with restful sleep! The Mayo Clinic has some great advice on how you can get your nighttime routine to line up with your sleep schedule. Stick to the same routine every night. Brush your teeth, listen to some music, write in a journal, and then get to bed. Sticking to a routine (and going to bed at the same time each night) will help your body know when it’s time to get to sleep and will make falling asleep much, much easier. The National Sleep Foundation suggests dimming your lights about an hour before bedtime to help you get to sleep and letting in the daylight in the morning to help you wake up. Make sure that you stop hitting that snooze button in the morning. It’s better to wake up with your first alarm rather than let yourself get low quality sleep after your alarm goes off. WikiHow has several routines to help you fall asleep. They advise keeping your room clean, dressing in comfortable clothing, learning to relax your mind (and body), turning on some relaxing music, and stretching before bed. The Huffington Post cites an Oxford University study that proved that relaxing imagery could help you fall asleep. Picture the place where you feel more relaxed and focus on that image until you slowly feel yourself falling asleep. Our apartment community collectively has decades of experience. Do you have any sleep tips for us? Leave us your advice in the comments. Thanks for reading our post!